Luciano and Giuliana Benetton, the founders of the Benetton Group, came from humble origins. The Benetton family grew up poor; their father, who owned a car and bicycle rental business, died while they were children. But Giuliana Benetton developed a skill that would make her family rich. At age five, she fell in love with knitting. In her early teens, Giuliana worked during the day in a tiny knitting business, producing scratchy, somber-colored woolen sweaters. At night, she used a borrowed knitting machine to make her own brightly colored designs. Her brother Luciano, who was then 20 and had worked as a men’s clothing salesman in Treviso, realized his 17-year-old sister’s talent. The two siblings sold their bicycle and accordion and scraped together enough cash to buy their first secondhand knitting machine in 1955. Then Luciano sold a small collection of Giuliana’s knitted creations to local Veneto area stores. The enthusiastic reception of her designs gave the company a solid start. In the early 1960s, the “Brothers of the Rainbow” invested about $2,000 to buy another secondhand hosiery knitting machine, which Luciano converted to make sweaters and jersey materials, and to build a small factory in Ponzano, a few miles from Treviso. Then in 1965, the Benetton company was formed as a partnership, called Maglificio di Ponzano Veneto dei Fratelli Benetton, with Luciano as chairman, his brother Gilberto in charge of administration, their younger brother Carlo running production, and Giuliana as chief designer. To compete in the casual clothing market, which is marked by its competitive and volatile nature, the small company’s designs needed to be creative but so did its management. The company flourished by making “industrial fashion,” fashionable apparel made and sold through flexible, cost-effective retailing and production systems. To attract attention to their sweaters, Luciano decided to sell directly to the consumer through specialized knitwear shops rather than to retail outlets that sold competing products. 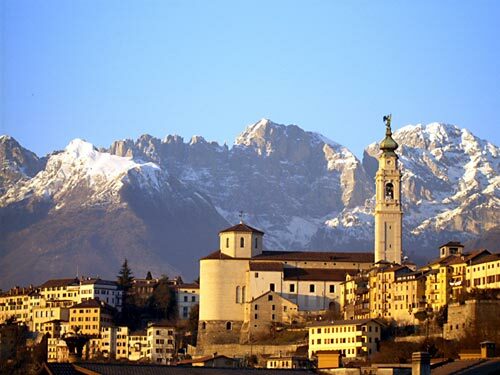 This decision formed the basis for the Benetton retail outlets, which sell the Benetton line exclusively; the first such store was opened in 1968 in Belluno in the Italian Alps. The following year, the company opened its first shop in Paris. Luciano thought that it would be a challenge to bring Italian fashion to the sophisticated Paris market, but if Benetton was successful there, Benetton could make it anywhere. Production at the company was also unique. In 1972 Luciano introduced a time- and money-saving production technique. By dyeing assembled garments made of unbleached wool rather than batches of yarn before knitting, manufacturing time was trimmed and Benetton could produce garments upon demand, which minimized the need to maintain an extensive inventory. 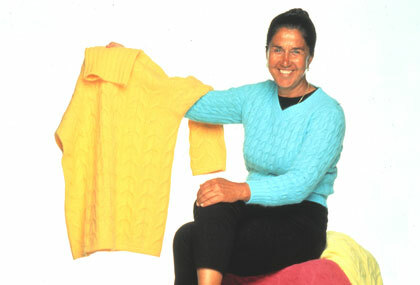 To produce many sweaters at reduced cost and financial risk, Benetton took advantage of an old Italian cottage industry. Benetton farmed out labor-intensive production–knitting and sewing–to small, family-owned companies (many owned in whole, or part, by Benetton management) throughout northeast Italy. Employing advanced technology, these companies allowed Benetton to manufacture in response to increased market demand both domestically and abroad with reduced financial risk. About 80 percent of production was farmed out to 450 subcontractors who employed about 20,000 workers in the Veneto region. The remaining 20 percent of value-added, capital-intensive production–quality control and cutting and dyeing–was performed in house. By 1983 Benetton payments for contract work equaled nearly six times the labor expense for work performed in its factories, according to the Harvard School of Business. Benetton’s early success is attributable as much to Luciano’s genius, as to the Italian and local business climate, however. According to journalist Dante Ferrari of the Italian business daily Il Sole-24 Ore, Benetton’s management style evolved from the heritage of the Veneto region, which offered a strong artisan tradition, an abundance of labor created from shrinking agricultural production, and hydraulic energy provided by many rivers and springs. During the years 1971 to 1981, despite weak governments and rampant inflation, highly productive, technologically advanced small-to-medium businesses in Italy outpaced those of the other European Community (EC) partners. By 1977 Italy had become the largest producer of knitted overwear in Europe, producing 60 percent of all EC output. In 1978 Benetton became a limited liability company. Sales, which included T-shirts and denim jeans, reached $78 million, 98 percent of which came from the domestic market. With 1,000 stores in Italy alone, Benetton realized that the home market was saturated, and launched a major export campaign. Benetton targeted the rest of Europe and made plans to enter U.S. and Japanese markets. In 1979 the first store was opened in North America. By 1981, Benetton, operating under the name Invep S.p.A., had become the world leader in the field of knitwear, generating three times the sales volume of the next largest manufacturer. By 1982, with 1,900 shops in Europe (1,165 of which were in Italy), Benetton was opening stores at the rate of one each working day. To handle its expansion, Benetton invested in distribution and marketing operations, building a $30 million computerized state-of-the-art warehouse, which made it possible for a staff of seven to handle more than 30,000 incoming and outgoing boxes in a 16-hour work day in 1983. Having grown to a mature multinational company, Benetton needed expert managerial direction. 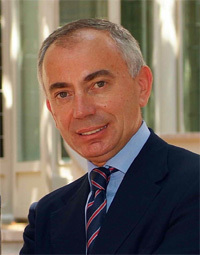 Aldo Palmieri, from the Bank of Italy, became Benetton’s first managing director in 1982, and brought the company into an era of wide expansion, globalizing its capital base. Although Luciano Benetton was not initially receptive, leading Palmieri to leave in 1990, the company eventually adopted Palmieri’s vision after he had been rehired in 1992. In 1984, 55 percent of Benetton’s $303 million in sales was generated from foreign turnover, outperforming domestic sales for the first time. The United States became Benetton’s fastest growing market by early 1985, boosting sales by 35 percent. Retail operations also were opened in Eastern Europe–Budapest in March and Prague in September–marking the opening of the first shop by a Western manufacturer since 1948. Following a corporate reorganization in December 1985, the company was renamed Benetton Group S.p.A. It was now one of the world’s largest garment producers, with four factories in Italy and one each in France, Spain, Scotland, and North Carolina, and an annual production growth rate of about 30 percent. In July 1986, Benetton made its first public offering on the Milan and Venice Stock Exchanges, and the listing was subsequently extended to the Rome and Turin Stock Exchanges. Through an innovative corporate finance deal, Benetton sold 20 percent of its equity on the London and Frankfurt capital markets, raising about $500 million, of which some $100 million was earmarked for research and development over the next three years. In early 1987, Palmieri approached the international capital market, focusing on the United States, and also began to finance acquisitions and joint ventures. In March, he raised an international syndicated loan with Citibank and authorized Morgan Guaranty Trust to place in behalf of Benetton Group S.p.A. eight to nine million American Depository Receipts–worth about $150 million–on the New York Stock Exchange. This was the first time that an Italian company had attempted to float stock directly on Wall Street. In addition, Benetton formed Benetton U.S.A. Corporation, listed on the Toronto, Madrid, Tokyo, and Frankfurt exchanges, and made private placements in Europe and Japan. These moves were aimed not only at eliminating short-term debt but also at broadening the shareholder base between Italian and international investors, as Benetton attempted to expand in North America and the Far East, and instilling the discipline required by the U.S. Securities and Stock Exchange into its corporate culture. Because financial services were poor in Italy, Benetton began lending to its suppliers. By 1986 this informal business grew to $400 million in leasing and factoring. Bencom S.p.A. was incorporated as a subsidiary in 1987 to undertake leasing activities, and a financial services company was formed. Like the retail line, financial services were structured with the Benetton management philosophy–independent entrepreneurs selling and receiving commissions. The financial services evolved to include insurance products and personal and corporate financial services. Other nonretail interests included stakes in Italy’s largest department store chains, banks, hotels, and real estate. Unfortunately, these ventures required heavy capital investments and took away concentration of management time from the retail sector. Nevertheless, Benetton’s retail line was expanded. Palmieri pushed Benetton to extend the retail product line and introduce a nonretail line, to shift to global manufacturing, and to find local partners able to penetrate difficult or emerging markets in the developing world. The company introduced a new watch and cosmetic line, incorporated Benetton Japan K.K. to penetrate the Japanese and potential Far East market, and signed licensing agreements to produce clothing in the Middle East and Far East through Benetton International N.V. Benetton Group sales rose to $2.5 billion in 1987, an increase of about 15 percent over 1986 figures. At that time, there were about 5,000 shops in 70 countries; the EC accounted for 68 percent of sales, North America for 20 percent, and the Far East for 2 percent. In 1988, after years of double-digit profit growth, Benetton’s attempts to diversify faltered with consolidated net income flat at about $99.5 million and stock at about half its initial offering price. Sales stalled in Italy. In the United States, which accounted for about 15 percent of total sales, revenue fell 20 percent. The slowdown was due to a weak dollar, rising apparel prices, saturated markets, the rising cost of Italian labor, and shifting tastes, especially in the United States. Moreover, in late 1988, several Benetton store owners filed suit in the United States against Benetton’s agents, alleging unfair trade practices and also complaining about the disorganization of U.S. operations and the Benetton Group’s practice of clustering stores, which was intended to promote competition among store owners. Benetton countersued two former store owners for alleged defamation. Conceding that these problems were brought about by rapid expansion (250 shops in 1983 to 758 shops in 1988) in North America, Benetton brought in former McKinsey & Co. consultant Federico Minoli to head Benetton U.S.A. Corporation as an autonomous entity and to improve relations with store owners. Although Benetton spent three years expanding into financial services, reaching the $300 million mark, in 1988 it sold its merchant banking interests and refocused on its retail line. Benetton acquired interests in four apparel-related manufacturing companies: Calzaturificio di Varese S.p.A., a shoe manufacturer and distributor; Galli Filati S.p.A., a producer of woolen yarn; and Columbia S.p.A. and Altana Uno S.p.A., both licensed to produce and market under the Benetton trademark. To integrate group logistics, Benetton also acquired Azimut S.p.A., Benair S.p.A., and Benlog S.p.A. To enhance global production and marketing, Benetton built a factory in Argentina to add to facilities built the year before in Brazil; acquired, incorporated, or sold marketing companies in various countries; opened stores in Warsaw, Moscow, and Cairo; listed on the New York and Toronto Stock Exchanges; planned to expand Benetton Cosmetics, which had operated in North America and Europe for the last three years, into the Japanese and South American markets; and entered into a joint venture with the Japanese trading company Marubeni, creating Benetton Shoes Corporation, to sell shoes in the United States and Canada. Negotiations also were made with Toyobo on joint plans to enter both the Japanese and Brazilian markets, and with Seibu-Saison to convert its license to a production and marketing joint venture. These developments were representative of Benetton’s strategy to first use licensees to gain wide exposure in new markets and then to convert the license into production and marketing joint ventures. Accordingly, growth also was accelerated by granting licenses to producers in noncompeting industries. The Home Colors trademark was developed by acquiring an interest in Eliolona S.p.A., which was to produce linens under license agreements in Brazil and Israel and to sell them in European markets. A new joint venture called United Optical was formed between H.J. Heinz and the Italian manufacturer Anser to produce spectacles. Furthermore, W.I.D.E. Corporation was incorporated in the United States as a joint venture with Avendero S.p.A. to manage international forwarding and customs clearance operations. By 1989 exports rose to 65.5 percent of total annual sales. To finance this expansion, Benetton aimed to attract investors in the United States, Canada, Japan, and Europe by making a capital issue of 24 million shares. In that year, Benetton’s holding company, Edizione Holding, reinvested its funds from the sale of financial services by buying Nordica, a ski equipment firm, for $150 million and soon acquired several other retail sports lines. Moreover, the trademark United Colors of Benetton was adopted. In the meantime, the Federal Trade Commission conducted a preliminary investigation to determine whether Benetton had violated federal statutes by failing to file as a franchiser but dropped the inquiry after Benetton asserted that contracts are negotiated by independent sales agents and that store owners pay no fees or royalties, even though they are required to follow stringent merchandising rules. In the late 1980s, Benetton gained additional competitive advantage by implementing global networking to connect sales and production. A point-of-sale computerized program, which linked the shops to headquarters, was designed to handle order management, cost accounting, production control, and distribution support. Thus agents began booking 80 percent of each seasonal order six months in advance; the remaining orders were placed midseason and relayed to headquarters by computer. The point-of-sale program was replaced by late 1989, and Benetton’s decentralized operations were linked by a global electronic data interchange network, which also included freight forwarding and customs applications. Although sales grew by 24 percent in 1990, Benetton lost $6.6 million in the United States that year, and another $10 million in 1991, a loss of 28 percent since 1987. Thus in 1991 Benetton started to consolidate its stores in the United States as well as Europe, replacing the clusters of smaller stores with the megastore concept, which carried the full Benetton line. In addition, Benetton turned its marketing and sales efforts once again to developing markets in the Near and Far East and to Eastern Europe, and halved its dividend to have more funds for expansion and acquisition. In December, Benetton signed a joint manufacturing agreement with Alexanian in Egypt in light of plans to open 30 stores in that country, and in 1992, 12 stores were opened in Poland. A joint venture agreement was signed for manufacturing facilities in Armenia, which was to produce apparel for the Soviet market under the United Colors of Benetton trademark; future expansion plans came to a halt, however, owing to lagging productivity at this plant. To beat the worldwide recession and increase market share, in 1992 Benetton developed strategies to achieve the following goals: to improve operating margins, reducing prices by about 15 percent, increasing production volume, improving product mix, and taking advantage of the devaluation of the lira; to improve operating efficiency, reducing number of styles of its collection from 4,000 to 2,600, and acquiring and integrating the operations of four key former subcontractors; and to improve cash flows, refinancing short- and medium-term debt. The mix of items was improved by introducing sophisticated classic professional apparel through shops dedicated to these higher-margin product lines–And for dress shirts, Di Varese for shoes, and Benetton Uomo and Benetton Donna for mature men and women–and by continuing to expand into the sporting goods market. By mid-1992, Benetton bought the remaining interest in Galli Filati and consolidated interests in four suppliers of woolen and cotton materials; now about 68 percent of the cost of production was represented by charges from subcontractors, compared with 87 percent in 1991. As a result, 1992 group sales rose 10 percent. By early 1993, Benetton had continued to close stores in the United States and, for production and marketing reasons, ceased operations at the Rocky Mountain plant in North Carolina. A technologically advanced factory opened at Castrette, Italy, which was designed to expand manufacturing capacity to 20 million pieces per year with about 15 people, using sophisticated robotic technology. Goods were now exported in greater numbers from Italy, where Benetton benefited from the abolition of the wage indexation system and the devaluation of the lira following its withdrawal from the exchange rate mechanism of the European Monetary System. At this point, Benetton had 32 factories, of which 27 were in Italy, and license agreements in 13 countries. In addition, Benetton decided to expand in developing countries, forming a joint venture with a major Indian manufacturer to produce linens and stationery, opening its 7,047th store, in Cuba, and transforming Benetton Mexico from a sales subsidiary to a manufacturing operation for the North American market. These developments, particularly the continued effort to rationalize production, resulted in Benetton’s stock reaching a five-year high. Consolidated revenues increased in 1993 by about 10 percent compared with the previous year, and net income rose 39 percent since 1990. Benetton’s global advertising campaign succeeded in generating a mix of praise and criticism and, ultimately, a fair amount of free publicity since about 1989. The ads, which were initially product-oriented campaigns on themes of multinational and multiracial harmony, eventually focused on institutional-oriented campaigns that featured documentaries on AIDS, sexuality, the environment, interracial relationships, and the war in Bosnia-Herzegovina. Although many of the ads became the subject of controversy and were withdrawn or banned throughout the world, the United Colors of Benetton ad campaign, which hinged on racial diversity, won Benetton’s art director Oliviero Toscani the UNESCO Grand Prix award. Despite the ad controversy, Benetton managed to maintain a sterling corporate image during Italian government kickback investigations conducted in 1993 that involved more than 5,000 of the country’s political and business elite. In fact, Luciano had gotten involved in national politics as part of a movement to overthrow the old system, and in 1992 was elected to the Italian Senate as a member of the Republican party. In 1994, however, Luciano retreated from politics, believing that the Italian government had met its objective, to devote himself to the family business. In early 1994, Palmieri diversified Benetton by planning substantial acquisitions of either well-known brands or companies in the developing world. One such expansion was a joint venture agreement signed with Timex and Junghans Uhren to produce watches and alarm clocks. In addition, Palmieri planned to double turnover by 1996. To fund these ambitious plans, he placed 11 million shares in foreign markets. This issue was expected to raise the float from 20 to 30 percent, with the remaining stock controlled by the Benetton family. In the mid-1990s, Benetton’s efforts to crack the U.S. market appeared to run out of steam. While the company’s clothing continued to attract European consumers, American shoppers turned away from the brand and its all too controversial advertising campaigns. The company’s attempts to enter the Asian and Eastern European markets met with similar indifference on the part of consumers. In the meantime, the 1990s saw the rise of a new breed of trendy designer-retailers who soon were beating Benetton at its own game. Such names as H&M, Zara, The Gap, Diesel, and many others began drawing consumers from Benetton stores. With its apparel sales in a slump, Benetton also faced a crunch from its effort to crack the sporting goods market. Since the late 1980s, the Benetton family’s Edizione holding had been building up a portfolio of sporting goods companies, starting with its purchase of Nordica in 1989. By the late 1990s, the company had tennis manufacturer Prince, racquetball equipment maker Ektelon, the United States’ Rollerblade, and others, including golf equipment from Langert, skis from Kastlë, and mountaineering boots from Asolo. These holdings were placed under a new unit, Benetton Sportsystem, which was then sold to Benetton S.p.A. between 1997 and 1998, for $300 million. Yet the sporting goods division never jelled with the company, and after years of posting losses, Benetton began selling off the sporting goods division. This process was completed in large part by 2003, with the sale of Nordica. Benetton’s desperation to recapture its former glory was highlighted by a distribution agreement reached with staid U.S. department store group Sears, Roebuck and Co. in 1998. The hoped-for sales never materialized. Worse, Benetton’s advertising campaign inspired only revulsion in the United States, when it launched its “We, On Death Row” campaign featuring prison inmates. The resulting controversy convinced Sears, Roebuck to pull out of its distribution agreement. Benetton continued to struggle into the 2000s, with a lack of focus and little enthusiasm for its clothing designs. The company appointed a new CEO, Luigi de Puppi, who was replaced in 2003 by Silvano Cassano, a former Fiat executive. At the same time, the Benetton family announced that it planned to draw back from the day-to-day operation of the clothing company. Cassano installed new management and led a revamp of the company’s clothing designs and a redesign of its retail stores, with a focus on the group’s 166 megastores. The company also launched a new brand, Sisley, featuring trendier, edgier youth fashions. By the end of 2003, as the company’s sales continued to slip–back to $2.3 billion, Cassano announced plans to spend nearly $530 million on an effort to revitalize the company’s retail offer. As part of that strategy, the company intended to introduce a new range of higher-quality goods, and diversification into cosmetics, accessories, and home furnishings. Benetton hoped to recapture the flair that had made it one of Italy’s major fashion success stories. Today the Benetton Group is present in 120 countries around the world. Its core business is clothing: a group with a strong Italian character whose style, design expertise and passion are clearly seen in the United Colors of Benetton and the more fashion-oriented Sisley brands, and in sportswear brands Playlife and Killer Loop. The Group produces over 110 million garments every year, over 90% in Europe. This entry was posted in UNITED COLORS OF BENETTON. Bookmark the permalink.